More than a half century after WWII at the desperate urging of a passionate survivor, a young investigative reporter finds herself caught between numerous versions of the same story. Played out against the backdrop of deadline reporting and journalistic integrity, the critically acclaimed The Soap Myth by Jeff Cohen questions who has the right to write history—those people who have lived it and remember, those who study and protect it, or those who would seek to distort its very existence? And finally what is our responsibility once we know the truth? PREFERRED SEATING JUST SOLD OUT! $36 GENERAL ADMISSION – Get your tickets today before we sell out! Printed tickets will be mailed to the address provided with your RSVP. Tickets must be presented for admission. No exceptions. No refunds. Your sponsorship will help to support this educational event for our community. Temple Israel will also be hosting a private reading for local high school students and educators in partnership with the Holocaust Museum & Learning Center. If you are a local high school or an educator and interested in attending with a group of students, please contact Martina Stern, Special Events Manager, at mstern@ti-stl.org or 314-432-8050. These readings of The Soap Myth are in partnership with the Holocaust Museum & Learning Center and are a part of Temple Israel’s Holocaust Education Week. For more information on all Holocaust Education Week events, visit ti-stl.org/HEW. Recipient of seven Emmy Awards and 16 nominations, as well as five Golden Globe Awards, Ed Asner is one of the most honored actors in the history of television. He is best known as the gruff but soft-hearted journalist Lou Grant, the role he originated on the landmark TV newsroom comedy “The Mary Tyler Moore Show” and continued in the newspaper-set drama “Lou Grant,” and as Carl Fredricksen in Pixar’s 2009 box-office-hit UP! 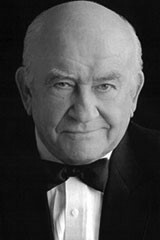 Along with Mr. Asner’s more than 100 TV credits, film credits include They Call Me Mister Tibbs!, JFK, and Elf(Will Ferrell & James Caan). He returned to Broadway in 2013 starring in Craig Wright’s comedy/drama Grace opposite Paul Rudd and Michael Shannon and has been touring the country as Franklin Delano Roosevelt in the critically acclaimed one man show FDR for over five years. Sponsored by Congregation Temple Israel and the Holocaust Museum and Learning Center.